Several local community planning groups (CPGs) are obstructing the basic safety improvements required for San Diego’s Vision Zero and Climate Action Plans. These plans are official city policies endorsed by many CPGs. However, several bike and pedestrian safety projects have been delayed, watered down or killed by these groups recently. This is because the established residents who often make up our CPGs prioritize street parking and fast, dangerous roads over their neighbors’ safety. I contributed to the Monroe Bikeway piece published on BikeSD and reproduced below. 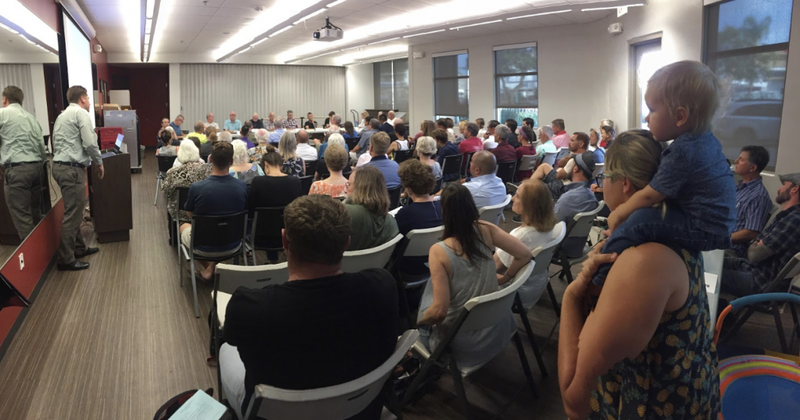 It details how the Kensington-Talmadge Planning Group has lost all credibility on bike infrastructure after opposing the City’s El Cajon Bikeway in favor of three years of delays and eventual opposition to SANDAG’s Monroe Bikeway. The Peninsula Planning Group, fresh off declaring its opposition to affordable housing at the Famosa site (what housing crisis? ), opposed two versions of a bike lane for West Point Loma Boulevard: a road diet and a reduced parking alternative. And let’s not forget Uptown Planners declaration that absolutely no parking could be sacrificed for any SANDAG Uptown Bikeways, a position which helped kill most of the University Ave Bikeway. It’s clear that a large segment of our city’s car culture will never accept any version of a pedestrian or bike safety project, despite the recent explosion in bike and scooter riders. Much like our housing crisis, why are we allowing residents who helped create the problem an opportunity to veto any and every solution? San Diego will never implement its Vision Zero or Climate Action Plans so long as self-interested residents continue to dictate our land use policies. 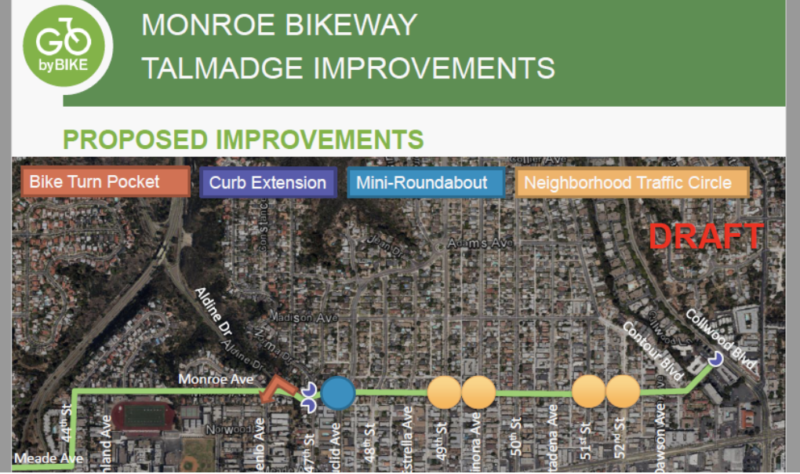 Yet so far Ken-Tal’s efforts to delay the Monroe Bikeway have been successful. As we’ve seen with the Uptown Bikeway and in communities across the country, this is a proven model to continually delay and water down bike lanes, until eventually killing them. If San Diego is going to implement any of SANDAG’s bicycle projects, city leaders must not give into “advisory” planning groups, who actually hold a powerful veto over bike infrastructure. Further, Ken-Tal’s long history of placing its own interests over the larger Mid-City community (attempting to move planned retail away from El Cajon Boulevard; voting to worsen pedestrian safety on ECB) is another reason why our planning groups should be consolidated—at a minimum.